Check @mariaroseloida on Instagram for the latest sub alerts! "I am so excited to take your class again; I thought it was amazing! Sometimes instructors can be too intimidating so I haven’t gone in a while…you just made me want to start going again!" Maria spent 8 years in the Advertising industry, working at fast-paced NYC and Seattle agencies and understands the flow of company stress, knowledge which she uses to structure her corporate classes to help students relieve tension and return to their desks feeling rejuvenated and at ease. She brings a light-hearted and straight-forward approach to class, making it an experience that employees want to continue. 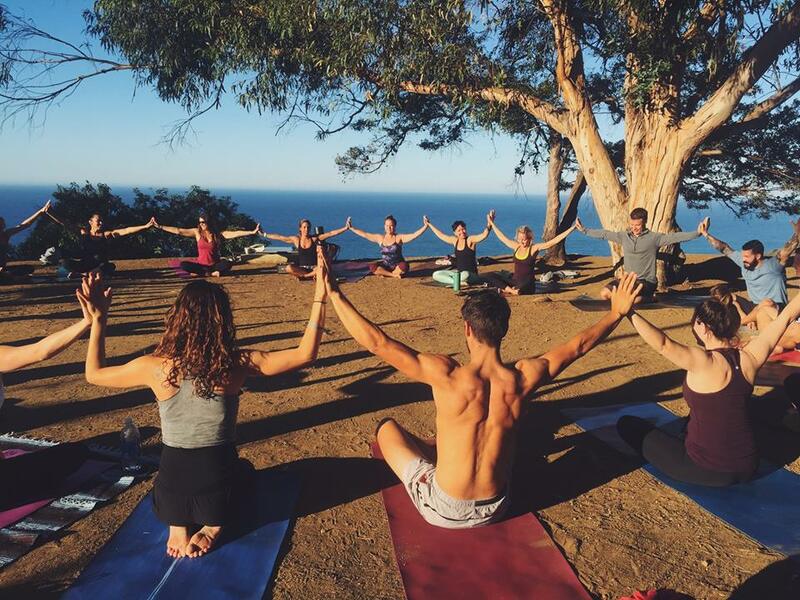 For individualized attention, Maria offers private yoga experiences where she caters her teachings to students’ needs and preferences, curating an optimal program to deepen your practice or work on healing habits. Maria’s previous work in PR/events and serious case of wanderlust leaves a special place in her heart for customized group events. Whether a wedding, bachelorette weekend or company leadership retreat, Maria is eager to work together to create a thoughtful and moving experience, a journey designed to connect groups to themselves and each other. Maria has a Journalism degree from the University of Missouri, one of the best journalism schools in the States, and has always loved writing. She can offer interviews or editorial pieces about her yoga practice or teachings, yoga apparel, the business of yoga, including website and social media strategy and living a wellness focused lifestyle. "Maria’s calm confidence comes through so clearly in the way she makes yoga both approachable and invigorating. I have fantastic experiences in Maria’s classes, where she transports me away from all my stresses – right while I'm still at work!" Shake up your usual schedule, get away and find space to remember your magic. Join me for an upcoming retreat. Campowerment is an adult sleep-away camp for women. It is designed to equip grown-ups to live better. Out in nature, we connect the magic of play with inspiration from America's celebrated thought-leaders. Since 2013, Campowerment's been building a community of purpose-driven people, ready to jam back to baseline through transformative, expert-driven activities wrapped in fun and games. It offers a safe and crazy-happy space for campers to draw a roadmap to re-ignition. Maria is joining Campowerment in the Poconos this September as the yoga expert, leading classes all weekend. Come re-ignite your life.